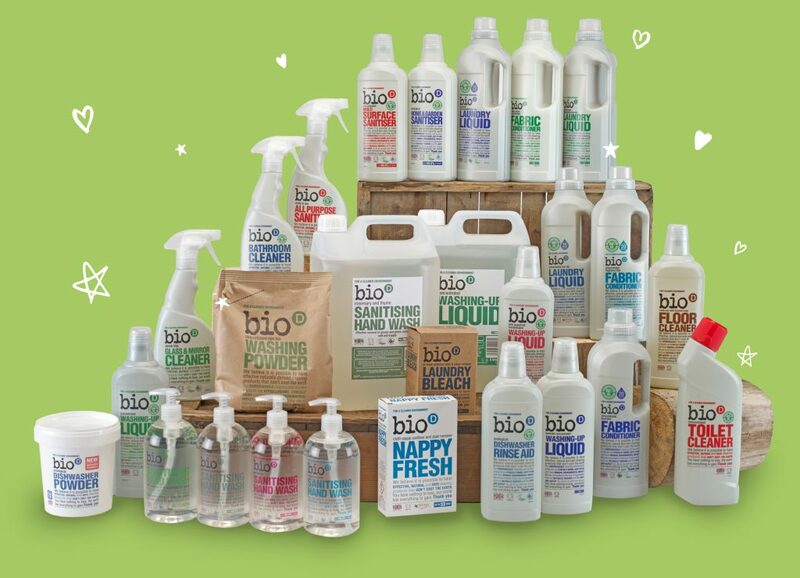 Ethical cleaning company Bio-D aim to have 100% recycled bottles across their range by end of 2019. Environmentally friendly cleaning company Bio-D, a global brand which operates from the Sutton Fields industrial estate, has set a target to introduce 100% recycled bottles across its whole range by the end of 2019. As the UK’s leading manufacturer of environmentally responsible, ethically sound, hypoallergenic, vegan cleaning products, the company is aiming to become greener than ever before, in a bid to decrease the amount of waste sent to landfill, in addition to reducing overall energy consumption. Already 74% to target, Bio-D launched new packaging at the beginning of 2018 to help achieve their goal, comprising of rHDPE’s (Recyclable High-Density Polyethylenes) – which are made from recycled used plastic bottles rather than single-use plastics. This has now been introduced across the majority of products, and helps their consumers to contribute to a healthier, more sustainable planet. In order to reach their objective, the company plan to roll out the new packaging across the remainder of bottled products, including the Sanitising Hand Wash and larger refill containers. They are also working on projects with their powder ranges. Sourcing new materials – finding the right type of plastic that can be fully recycled to produce packaging can be difficult, as they’re not widely available in the UK and can be expensive to produce. They can also have more faults during the manufacturing process. The type of plastic used – recyclable High-Density Polyethylene, or rHDPE (the plastic needed to create 100% recyclable packaging), is often less flexible than traditional plastics, which means lots of testing is needed in order to determine the correct thickness needed for each bottle. Bio-D has spent 2018 experimenting to find the best packaging for their products. Reactivity to product – sometimes the ingredients within the cleaning products themselves can react with certain plastics, so it is essential to find a material that is compatible. This meant lengthy compatibility tests to find the perfect match. The colour of the packaging – the colour of packaging can drastically alter the way a product looks. Ensuring continued use of rHDPE that brings out the best of the products was a real priority for Bio-D.
Lloyd Atkin, managing director at Bio-D, said: “As a company, we strive to be single-use plastic free, and setting a target to achieve 100% recyclability by the end of 2019 means that we are more determined than ever to reach our goal. In an effort to be as eco-friendly as possible, Bio-D signed up to The New Plastics Economy Global Commitment, led by the Ellen MacArthur Foundation. Created in collaboration with the UN government, businesses that have joined the commitment are aiming to eliminate single-use plastics from their operations and invest in new technology so 100% of their packaging can be recycled by 2015. If Bio-D’s pledge is successful, they will reach 100% recyclability six years ahead of schedule. As well as this, Bio-D – whose ingredients are completely plant-based and naturally derived, are registered with ISO14001, which means that they are recognised for putting environmental management at the heart of what they do to achieve sustainable success. Only 1% of companies in the UK meet this standard. Be the first to comment on "City based global brand Bio-D makes pledge to introduce 100% recycled packaging"